Load cell troubleshooting is essential to obtain accurate measurements, since load cell sensors can be highly sensitive. This means that even the smallest environmental changes and mechanical interference can throw off the cells. By staying aware of these factors, you can easily troubleshoot your machinery when the measurements are not accurate. Most load cells and torque sensing systems are designed to operate well between -452 degrees Fahrenheit and 450 degrees. But sometimes, drastic changes in ambient temperature can effect the weight controller and other parts of the cell. This stresses the importance of keeping indoor equipment at a consistent temperature when possible. 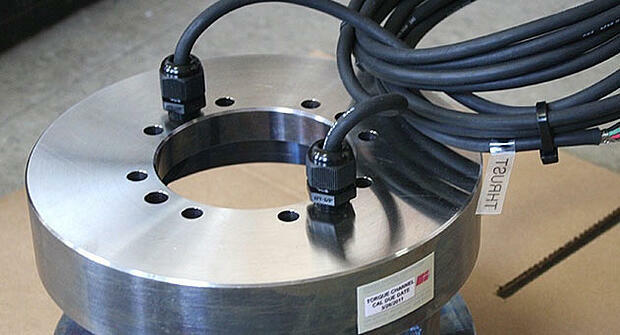 While they can be hard to catch, small misalignment can make load cells less accurate. This can also be extra complicated when only one cell in a system is misaligned. But once you spot the problem, you can correct the calibration with a torque wrench. When multiple machines are operating in close proximity, it's possible that the vibration from one machine will affect the other. In the case of load cells, they can become slightly misaligned from these air waves. To prevent this, create a barrier around the weighing system to isolate it from external factors. Air moisture or leaking water mainly presents an electrical concern. Any excess moisture can end up on cables and wires and disrupt the signal between the load cells and the rest of the machinery. This is why it's important to regulate indoor environments and properly cover cables in outdoor environments. Wind disruption is mostly a concern for outdoor machinery. Depending on the direction of the wind, certain cells could sense lighter or heavier loads than they should. There is also a slight chance that indoor machines could be impacted by air conditioning vents, so arrange your system accordingly. When something goes wrong with your load cell sensors, you likely look for large scale errors or human mistakes. But sometimes, the answer lies in the details. Be sure to consider all possible factors when troubleshooting your load cell systems, since it could be a combination of errors causing miscalculation. And once you spot the problem, take note and make a change to prevent the error in the future. Interested in learning more? Contact us today for a quote and to get started.